Foley & Associates has been supplying steel tubing to the Automotive, HVAC, Appliance Industries for over 30 years. 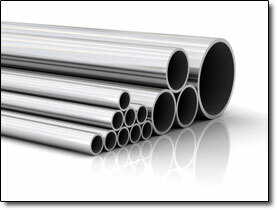 Starting out as a manufacturer of stainless steel tubing we have progressed into sales specialists specific to tubing products. Our Principles are rolling Carbon, Galvanized, Aluminized, Zinc Nickel, Stainless, Drawn Over Mandrel and Seamless tubing. We have teamed our sales organization with the leading tube producers in North America for the best in Quality, Service and Delivery. Please call us at Foley & Associates for more information, or request a quotation online.